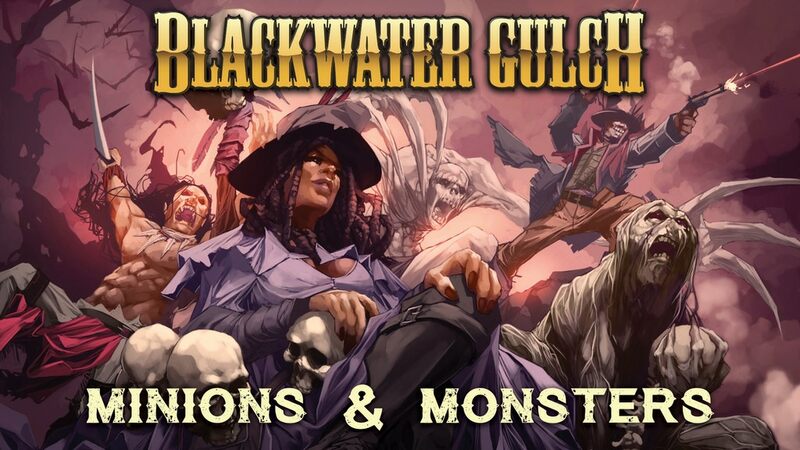 The folks over at Blackwater Gulch are looking to expand the ranch once again. They've launched a Kickstarter campaign for their Minions and Monsters expansion. It's full of miniatures for all types of posses. You've got lawmen. You've got outlaws. You've got monsters (seems fitting, since it's in the name there). You can go check it out and pledge now. Howdy Pardners, and welcome to Blackwater Gulch! This town is growing fast, and these new heroes, villains and minions need a gang leader like you to take charge! With your help, we hope to fund many new miniatures to add to your gangs. There will be 3-man Minion Packs, along with large Monsters and a few solo miniatures along the way too. In addition to funding these new miniatures, we also plan to invest in our own high res HD DLP 3D printer which, while expensive, will cut down on our ongoing production costs in the future. The campaign's just a bit more than halfway to its goal with still 20 days left to go.